She was Tarma. Born to the Clan of the Hawk of the nomadic Shin’a’in people, she saw her entire clan slain by brigands. Vowing blood revenge upon the murderers, she became one of the sword-sworn, the most elite of all warriors. And trained in all the forms of death-dealing combat, she took to the road in search of her enemies. She was Kethry. Born to a noble house, sold into a hateful “marriage”, she fled life’s harshness for the sanctuary of the White Winds, a powerful school of sorcery. Becoming an adept, she pledged to use her talents for the greatest good. Yet unlike other sorcerers, Kethry could use worldly weapons as well as magical skills. And when she became the bearer of a uniquely magical sword that drew her to those in need, Kethry was led to a fateful meeting with Tarma. United by sword-spell and the will of the Goddess, Tarma and Kethry swore a blood oath to carry on their mutual fight against evil. And together, swordsmaster and sorceress set forth to fulfill their destiny…. 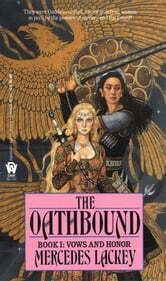 Excellent swords and sorcery with great heroines in this epic fantasy series. A classic to read again and again. Loved this book. 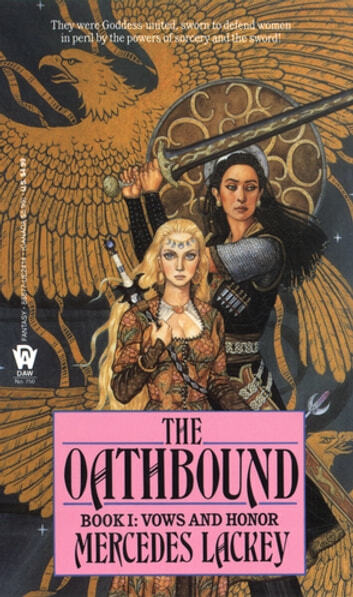 Mercedes Lackey is one of my most favvorite authors.